Abolition, war and injustice have inspired tax resisters in New England since even before the American Revolution. Here, then, are nine New England tax resisters. 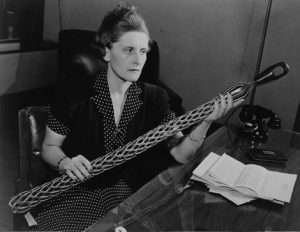 Vivien Kellems and her brother Edward invented an endless-weave grip that routed and relieved the strain of electric cables. She won a patent for it, and In 1927, she formed Kellems Cable Grips, Inc, in Westport, Conn., to produce and sell the cable grip. The business succeeded. In 1948, Vivien Kellems refused to collect her employees’ withholding taxes. She said if the government wanted her to be an agent, they’d have to pay her and give her a badge. Meet the Press interviewed her about her tax resistance in 1948. Eventually she backed down, but from 1965 to her death in 1975 she only sent in blank returns to the IRS. Paul Cuffe was a wealthy mixed race Quaker, the son of a Wampanoag Indian and a free African-American. He lived in Dartmouth, Mass., where he worked and saved and ultimately owned a fleet of ships he used to trade up and down the East Coast. Before he accumulated his wealth, Paul Cuffe fought in the American Revolution and spent three months in a British prison. In 1780, 21-year-old Paul Cuffe refused to pay taxes to Bristol County because he didn’t have the right to vote. He, his brother and five African-American tax resisters asked the county to end such taxation without representation. In the end he got his taxes reduced. John Wise of Ipswich, Mass., had no use for Edmund Andros, the new royal governor over the newly consolidated New England colonies. On Aug. 22, 1687, John Wise met with fellow citizens of Ipswich and decided Andros had imposed an illegal tax without consulting the General Assembly. Andros had called Town Meeting the next day to select tax commissioners. Instead, Town Meeting self-selected tax resisters. Ipswich issued a declaration against the tax. Andros had the tax resisters arrested, jailed, tried and convicted. The tax resisters had to pay fines and court costs. But less than two years later, the people of Boston sent Andros packing back to England. They called Andros and the short-lived Dominion of New England a plot of ‘the great Scarlet Whore’ to crush Englishmen under the papist thumb. In June of 1869 the tax collector in Glastonbury, Conn., asked two elderly sisters to pay their road tax early, which they did. Abby and Julia Smith were then surprised when the town accidentally billed them for the tax again in October. When they asked that the town correct the matter, the tax collector refused. When they tried to enter Town Meeting to raise the issue, they were turned away. Their taxes went up again. The Smiths grew convinced that Glastonbury only raised taxes on properties owned by women, and that they couldn’t delay payment because they were women. They became convinced that modern women needed a vote, and decided to become tax resisters until they could vote. 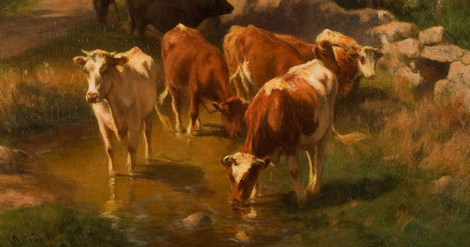 When the town seized seven cows in lieu of payment, the cows became a cause celebre in the suffragist movement. He believed individuals had the right to disobey the government when it forced them to do something that violated their conscience. "I cannot for an instant recognize as my government [that] which is the slave's government also,” he said. 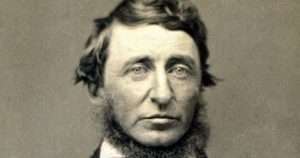 In July 1846, Thoreau was arrested for refusing to pay his poll tax. He believed (wrongly) the tax financed the Mexican War, fought to expand slavery into the Southwest. He’d stopped paying the tax in 1842, but the sheriff held off for a few years. Someone paid his tax, but the sheriff kept him overnight. When he released him, Thoreau didn’t want to go. 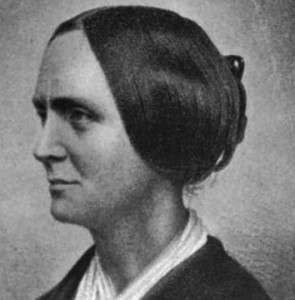 Before Susan B. Anthony advocated for women’s rights, Abby Kelley taught her how to do it. Abby Kelley, also an early advocate for abolition, had tremendous organizational and speaking skills. She built a network of regional anti-slavery newspapers and raised the money to support them. Abby Kelley married Stephen Foster, an abolitionist who shared the platform with her in Seneca Falls. They bought a house in Worcester and called it Liberty Farm. It was a stop on the Underground Railroad and a haven for fellow reformers. They refused to pay property taxes on the farm because Abby didn’t have the right to vote, and the county seized the farm. Friends bought it back for them. Liberty Farm is now a U.S. National Historic Landmark. Twenty-five Greek immigrants in the Maine mill city of Lewiston became tax resisters in 1907, probably as a ploy to have some influence over the police department. The Lewiston police began demanding protection money from Greek street vendors. They also arrested Greeks for violating Prohibition and keeping their businesses open on Sunday. The Greeks then refused to pay the $2 poll tax. One of the first Greek immigrants to arrive in Lewiston, James Matis, said only a Greek constable could collect the poll tax from the Greek people. “I know all the Greeks here and I am sure that they would pay if I told them to,” he said. Matis received the nomination for constable. 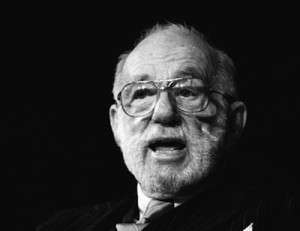 In 1968, 458 writers and editors including Dr. Benjamin Spock became tax resisters when they took out full page newspaper ads refusing to pay a proposed 10 percent Vietnam War surtax. From wiki: In 1970, five Harvard and nine M.I.T. faculty members, including Nobel laureates Salvador E. Luria and George Wald, announced that they would be resisting taxes in protest of the war. Dr. Spock had already been arrested, and a court would soon try and convict him for urging young men to resist the draft. A higher court overturned Spock’s conviction. The surcharge passed, but neither Spock nor the other tax resisters went to jail. In fact, only two people ever went to jail for tax resistance. Most went to court on related charges, such as failure to file or fraudulently claiming too many dependents, according to the National War Tax Resistance Coordinating Committee. Isaac Glasko was a successful blacksmith in Griswold, Conn., so successful he at one time employed 10 people. He built a water-powered trip-hammer forge that produced superior farm and carpentry tools. Glasko was born in Rhode Island to parents of mixed race. Each was part African and part Indian. Because the state classified Glasko as black, he could not vote. In 1823, Isaac Glasko and a friend asked the State of Connecticut to exempt them from taxes because they couldn't vote. Unsurprisingly, the Legislature rejected their request. Glasko never did get to vote. He died in 1861, 15 years before an amendments to the Connecticut Constitution allowed black men to vote. The Ipswich resistance is the reason the town is known as the “Birthplace of American Independence.” Read the story at https://historicipswich.org/2015/04/19/birthplace_of_american_independence/. Several Ipswich leaders were hauled to the Boston jail. John Wise eventually plead guilty, and lost his pulpit for a while. Samuel Appleton paid the harshest price by refusing to confess.